Newcomer Family Obituaries - Jean E. Ott Eshbach 1920 - 2018 - Newcomer Cremations, Funerals & Receptions. 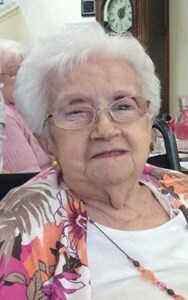 Jean E. Ott Eshbach, 98, passed away peacefully at Mulberry Gardens Assisted Living in Munroe Falls, OH on December 2, 2018, where she was a resident for six years. She was born September 2, 1920 in Allentown, PA, the daughter of John and Florence Miller. Jean was a homemaker for most of her life, however she enjoyed working with her late husband, Kenneth at Delta Hosiery, and vacationing with family in Ocean City, NJ. She was very active at St. Luke's Lutheran in Reading, PA and was a member of the Eastern Star. She is preceded in death by her parents; husband, Kenneth R. Ott; and husband, Irvin A. Eshbach. Jean is survived by her daughter, Jani (Nathaniel Napoletano) Ott; grandchildren, Renton and Chloe; sister, Elizabeth (Fred) Romig; cousin, Richard (Ann Louise) Maury; and other family and friends. She was a loving and devoted wife, mother, grandmother, sister, daughter and friend, and will be missed by many. Funeral will take place in Reading, PA, where she was a resident for most of her life. Services will be held at St. Luke's Lutheran Church, 449 N. 9th St., on Saturday, December 8 at 10:00am with visitation one hour prior. Interment at Laureldale Cemetery, 4631 Pottsville Pike, to follow. Add your memories to the guest book of Jean Ott Eshbach. Our deepest sympathies to the Eshbach family. May your hearts be filled with special memories. We are honored to have been a part of Jean's care and support.